Taking the Samsung Wifi Camera into the city! I love my city. I love taking my family downtown and just walking around and exploring. My son loves photography, so I have been looking for a family friendly compact system camera that we can all use when we are out on our adventures. And I found that the Samsung Smart Camera WB200 has everything we need! 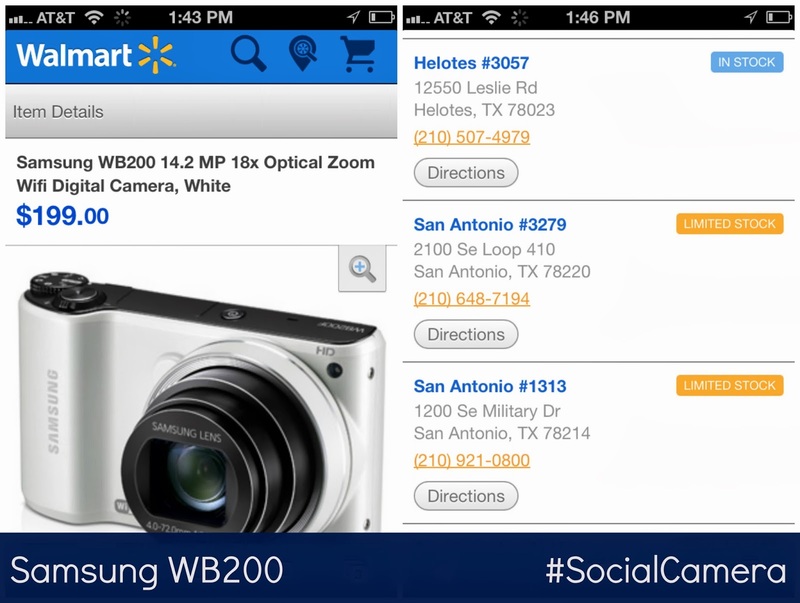 It's been all over the web about new wifi cameras, and I though that it would be completely out of my price range to buy, but the Samsung WB200 at Walmart was only $199. So before heading out to buy, I checked out the specs online and was able to see if it was available at my Walmart. It took 10 minutes and I was in and out with my new camera. 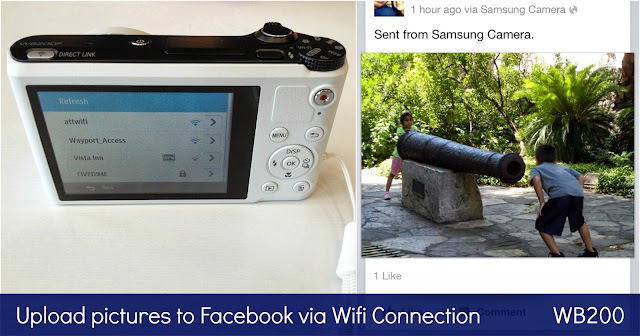 Then home to figure out the wifi connections and set up the direct link with my phone, using the Samsung app. You can see more of my setup and what the camera can do on my Google + album. 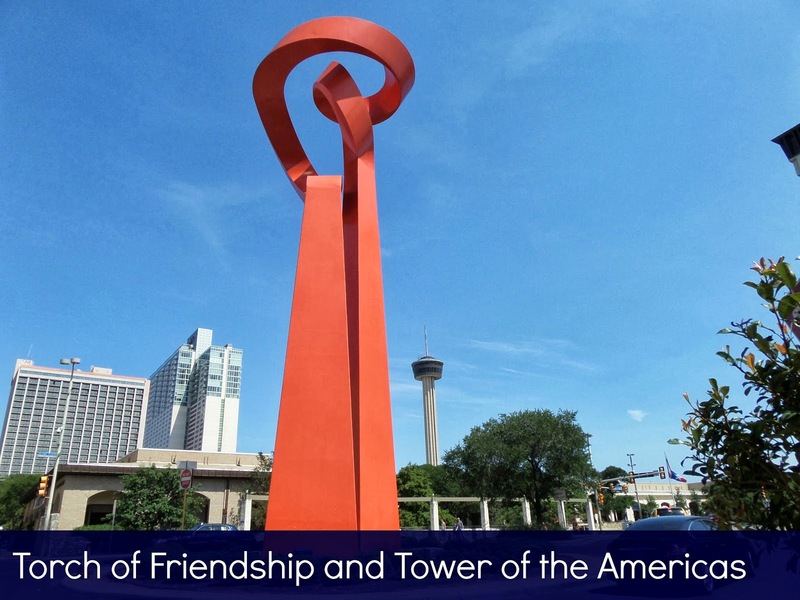 The next day, we took an impromptu trip to downtown San Antonio. We walked through the Alamo and I let my son take some pictures without any worry. Of course, I just had to tighten the wrist strap. While we were downtown, we snapped a picture of the Torch of Friendship, a piece of art given to San Antonio from Mexico, with the Tower of the Americas in the background, on the right-hand side. I took a couple steps over and zoomed in on the Tower of Americas and couldn't believe how powerful the 18x Optical Long Zoom was! Check out the comparisons below! 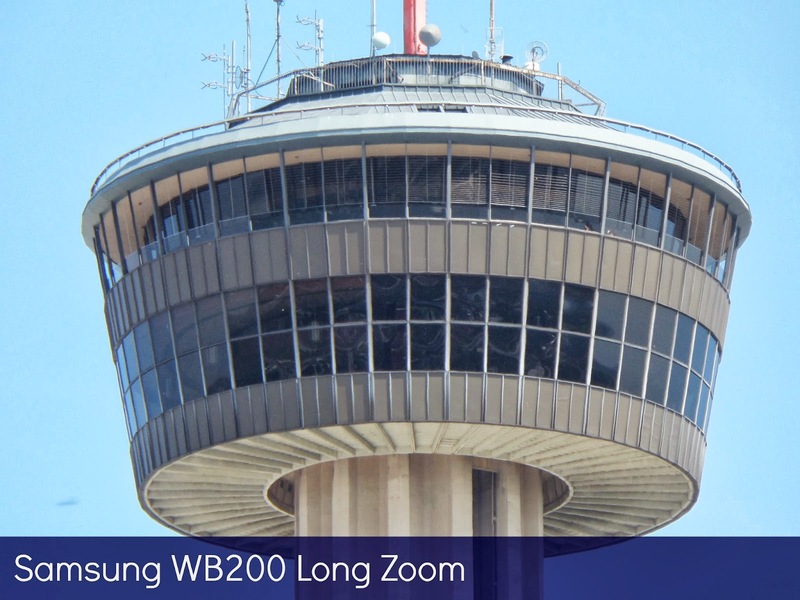 It's amazing how you can see the details of the very top of the tower, I mean it's 750 feet tall!!! After, we stopped at a restaurant that had free wifi. I easily connected and upload a fun picture from the Alamo to Facebook and used the Direct Link button to send some pics to my phone so I could Instagram the fun! This camera has been a great addition to the family and has found a permanent spot in my purse. It's so compact and light, that I don't even know it's there! Want to know more? Or have any questions? I'd love to share! Definitely going to look at this for my next camera buy. Tks. Wow. This looks like a super-cool camera! I love that you can upload directly to FB and your phone. Definitely something to check out. Thanks, Michelle! Wow impressive!! That's too cool! Great review! That zoom is SO incredible!